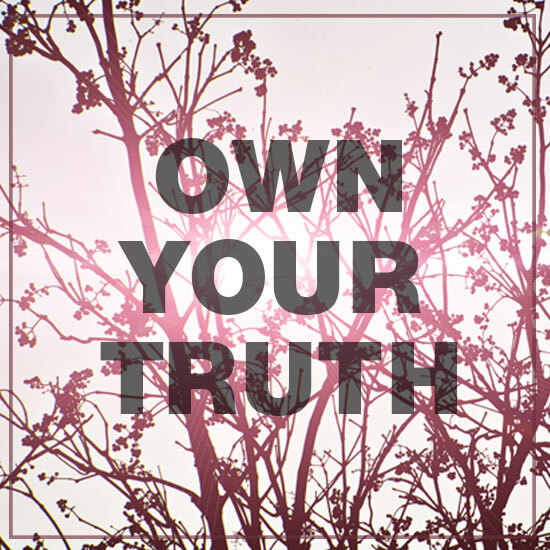 Own Your Truth! This is what the left can never do. They expect the righteous to “own their truth” by agreeing with liberal lies. Kavanaugh was guilty until proven innocent, and even after being proven innocent they still declare him guilty because liberals made the false accusations against him and they will never own up to their lies. They must hide their intent to overthrow the Constitution by duping ignorant, gullible fools into voting for them. They have openly become the party of America haters, parasites, criminals, and illegal alien invaders. Separating children from adults who illegally enter the country has been done by every president since Clinton, and those who say Obama didn’t – lie. It is the practice to ascertain if they are actually their children or if they are victims of drug smugglers using them as baby shields. Hurricanes are always touted as the most destructive and devastating ever to hit America to advance the man-made global warming lie. The only reason the slander of Bush over Katrina was successful is because Bush never told the people the media lied about his rescue response. Trump bypasses them and, despite the devastation of Hurricane Michael in the Florida panhandle, cannot successfully slander him. But that doesn’t stop them from declaring that the hurricane hit there because they voted Republican. This is the kind of twisted thinking that passes for intelligence among liberals who conflate climate change with their man-made global warming, and immigration with their importing illegal aliens. The Mueller Russian collusion investigation is as big a hoax as Trump sexually abusing any woman. Until he ran for president as a Republican he was beloved by Hollywood and the media. Now they slander him as a racist xenophobe. They jumped on the story of one of their own being murdered in the Saudi Embassy but bypass all the facts on their way to misdirecting the country. Khashoggi was more jihadi than journalist in his full-throated support and apologetics for the Islamists of the Muslim Brotherhood. These are the Arab jihadists that Obama aided with American taxpayer dollars in forming ISIS to re-establish the Caliphate. Khashoggi was killed for damning the Crown Prince for wanting to reform Islam away from Wahhabism and the Jihad of Muhammad, which will not fly with Islamists and will probably result in the prince’s overthrow. Plus, every liberal loon in Hollywood as exhibited by their tv shows and movies slandering America. For the past two years, both men and women have tried to slander Trump out of the presidency. But all of their machinations have backfired in their faces like the Coyote trying to entrap the Road Runner. Charmed describes President Trump saying, “When the weakest of men reaches ill-gotten glory,” as if everything Democrats say about Trump is a proven fact when it’s all unprovable fiction. (Had they said this about Obama who, like Hitler, was a man of no accomplishment except to be handed power in popularity contests they would have been right.) The middle sister that was originally the sensible one is a militant feminazi lesbian who says in a case of ‘he said she said’ the man is always wrong. It is liberal lunacy being inflicted on our kids as entertainment to delude their minds. As bad as that is, Murphy Brown is ten times worse slandering Republicans with every leftwing smear and strawman argument. Liberal television has even corrupted superheroes like Supergirl with their leftwing lies and dribble. They may eventually convert Superman into Shariaman to take down the USA. Liars should NEVER search for the truth because they are ALWAYS hoisted on their own petard. (That means when liberals search for the truth to prove their lies it always blows up in their faces. Way to go Yosemite Sam!) Democrats investigated Trump’s tax returns to the beginning of time to prove he got his wealth from Russia making him Putin’s puppet. They found NOTHING! Now that their Kavanaugh lies are falling apart they are trying to turn the people’s attention. The NYT and Showtime are trying to spin hay into gold by writing stories and making a movie claiming they found evidence that Trump defrauded the IRS. As if the IRS hasn’t been anally examining Trump as they do all millionaires and especially billionaires. The people whose millions they don’t examine and should are the Democrats and RINOs in government! Trump is not even guilty of any kind of tax evasion or wrongful deductions. He is a thousand times more honest than any politician in Washington that has become a multimillionaire through graft while on the people’s salary. Democrats reflect Islamic Sharia in their scapegoating and random destruction of the innocent. They are just like Islamists who hear that some American burned a Koran and, whether true or not, go out and kill some random person that looks like an American in revenge. It’s the sickness of the animal mentality of the Left. 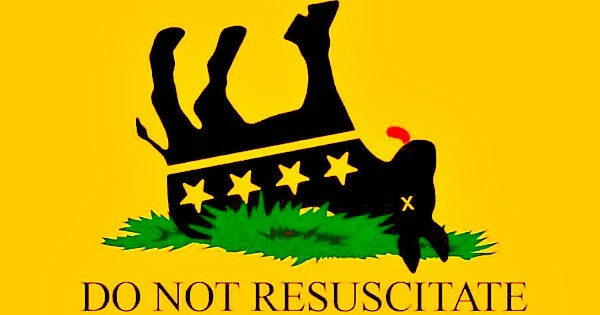 Democrats are not above reproach. They are beneath contempt. They would make their lies law and are seeking to subvert the Constitution by giving the vote to felons and illegal aliens. They make laws in their states to stuff the ballot box with these fraudulent votes and then have the gall to lie to the people’s faces claiming they are not. Only oblivious liberals who don’t pay attention to the news that’s telling the truth are duped. So, go out and vote. Democrats want a blue wave to sweep away Republicans as they did in 2006 after slandering Bush for six years. Go ahead and show your true nature by voting for the Democrats who have been rioting in the streets, attacking police, and threatening all Americans who vote against them with violence, persecution, and death. Vote for the Nazis. Republicans will be creating a red tsunami like 2002 when the nation was united against evil, except that evil is not jihadis destroying a New York City block and launching a terror Jihad. It is the terrorism of Democrat thugs attempting to destroy the very culture on which America is founded.